Emory Johns Creek Hospital will host a "Night of Lights" holiday celebration on Friday, Dec. 1 from 6 – 8 p.m. The event will include choral performances from Barnwell Elementary School, Findley Oaks Elementary School and Woodward North. 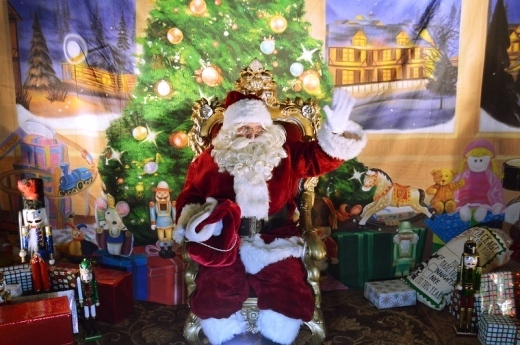 Local families and hospital staff will also enjoy arts and crafts for children, pictures with Santa, a tree lighting ceremony and holiday lights along Johns Creek Parkway. The Boy Scouts of America Cub Scout Pack 4143, which Emory Johns Creek Hospital charters, will also help children create ornaments at the holiday celebration. The tree will be donated to a needy family. Johns Creek Fire Department will sell dinner plates at the event to benefit the Georgia Firefighters Burn Foundation. The department is pre-selling food by the pound until Nov. 27. 'Night of Lights' will take place in front of the hospital located at 6325 Hospital Parkway, in Johns Creek. For more information, call 678-474-7000.